The C&G Professional Career Course is a 'stand-alone' qualification course designed for those who wish to follow a career in grooming with an accredited C&G qualification. No further courses need to be taken to satisfy mandatory requirements. *However for those who choose to gain higher qualifications this course is also the pre-requisite course which you must successfully complete if you wish to 'add on' the C&G Level 3 Diploma in Dog Grooming. At the start of your course you will be provided with all of the C&G revision notes and qualification handbooks needed to log your progress and to prepare for the exams, as well as salon produced books to assist you on your learning curve. You will also be given written Training Aids alongside your practical tuition to help you understand the rationale behind your new skills. The course starts with the basic grooming preparation skills and then goes further to cover all the skills and aspects of grooming which you will need to be able to groom all of the popular breeds which regularly visit a grooming salon. The Professional Career Course gives you 4 block weeks of balanced hands-on grooming and theory tuition. 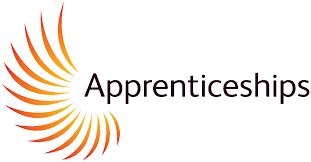 The first day of the course is spent on an 'induction' during which you will learn about the training school, the course content and the City & Guilds pathway to qualification. Throughout your course you will receive practical training, advice and help with mandatory homework assignments. Each student has a dog to work on each day*. In the early days you would not be able to finish your dog because you would be doing everything slowly as a beginner. Towards the end of the course you may get to finish 2 dogs a day, depending on the breed and the work attached. You will be taught how to groom the breeds which most commonly visit grooming salons, i.e. Westie, Lhasa Apso, Schnauzer, the Terriers and also Spaniels. Then there are the large breeds, eg. Golden Retrievers, German Shepherds, Lurchers and the smooth coated breeds such as the Labrador, Greyhound, Bassett Hound etc. *Model dogs are provided for trainee groomers to work with by their owners, our customers, who give written consent in advance. The owners are rewarded with a generous discount from their normal grooming price. Although we do our utmost to ensure that there are the right number of model dogs for our trainees on a daily basis we have no control over a sudden change in circumstances which may cause a designated dog to cancel or fail to turn up. In this event we will find alternative relevant prep work or study modules to fill the gap. We will teach you how to use clippers to style a dog and set pattern lines. You will learn that, by choosing the right blade, you can do far more with clippers than just removing the coat. You will also learn how to handle scissors correctly and how to use scissors and thinning shears to create a style appropriate to the breed. 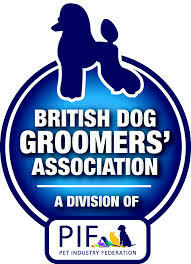 Included in this course - subject to availability of suitable dogs - is tuition and practice in HAND-STRIPPING. This is a specialised skill which, unfortunately, is also becoming a rarity in many grooming salons. You will gain experience in how to identify the breed and coat type which will benefit from being hand-stripped rather than clipped, and you will have the opportunity to learn and perfect this simple technique. Hand stripping can also be taken as a separate 1 day course to prepare for the City & Guilds Hand Stripping Unit - which is a mandatory unit if you wish to gain the C&G Level 3 Diploma at a later date. Beyond the skills of grooming you will gain an insight into client relations. You will receive a Dapper Dogs booklet called Start Your Own Grooming Business which will assist you to get your business up and running with advice on equipment, advertising and marketing, diary planning, the right level of insurance, fitting out your grooming salon - and much more! Dog grooming is a specialised industry which has different needs to other types of businesses when it comes to location, setting up and using your budget wisely - and Dapper Dogs has been prominent within the industry for over 20 years now - so we have a wealth of experience and knowledge to pass on! Further guided learning hours to brush up on any practical skills and theory revision which you feel you need further help with. An accredited Canine First Aid Certificate (included in the course price). Practical preparation day on the day before your booked assessment with City & Guilds. COST- £3650 (inclusive of City & Guilds Qualification, Canine First Aid Qualification and all City & Guilds manuals, registration fees, and exam costs).